As summer approaches, many homeowners are concerned about the sudden increase they’ll see in their home AC unit utility bill. When the weather turns warm, many of us find ourselves at a crossroads between the desire to stay comfortable and cool using our AC and the inevitable steep bill to follow. 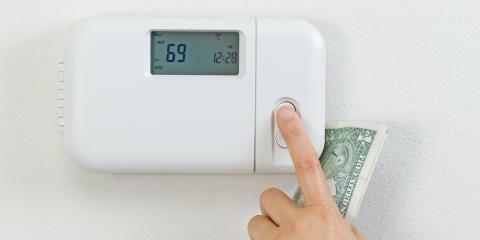 When your air conditioning runs smoothly, it utilizes less energy to do its job correctly. By scheduling routine maintenance and checkups on your air conditioner, you’ll notice your monthly bill is significantly lower and the entire system is working more efficiently. You can also avoid more intensive and costly repairs later. If you’d like to avoid using your home AC unit altogether, implementing fans into each room of the house is an excellent alternative strategy. Using a wall or ceiling fan still requires the use of some energy, the amount is minute in comparison to running the entire HVAC system. These fans can be easily turned on and off as the room is occupied or empty and allow homeowners more control over the use of energy. Most modern AC units are equipped with a thermostat that allows you to choose a consistent temperature to keep your home. This will help to maintain a relatively normal energy bill without any extreme spikes, which will ultimately save you money. Your thermostat should also have a timer feature, which you can use to ensure there is no AC running during the middle of the night or in the early morning when temperatures are cooler anyway. If you’re a resident of the Mountain Home, AR area, consider working with Montgomery Heating and Aire for all of your AC service needs and for more help lowering your utility bill each month. Visit them online, or give them a call at (870) 435-1501.